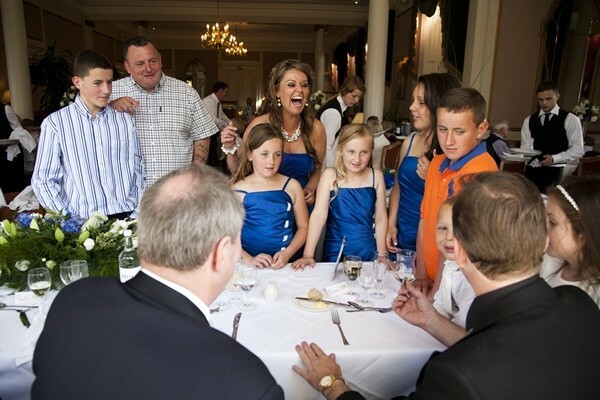 Magic OZ the Favourite Wedding Children’s Magician and Comedy Entertainer. As a professional and experienced entertainer, Magic OZ has various interesting and magical tricks for entertaining the children. These usually include balloon modelling, music and dance plus close up magic too. Magic OZ the Best Close up Magic. Magic OZ believes that close up magic is challenging for a magician since it is performed very close where the guests are sitting. An interesting fact about Magic OZ is that he involves the older Children too. The magic literally happens in their hands and the result is that they feel surprised, and amazed. He Combines Various Resources for Creating a Stunning Effect. As a professional entertainer, Magic OZ knows that Children get bored when they are forced to remain passive. So, for making the Children genuinely interested, he encourages them to participate in the magical show. The best thing is that they get to learn many things in a fun and entertaining way. Keeping Children engaged during a wedding ceremony is what he does best. Hiring Magic OZ can be the best way to deal with not only the adult entertainment but makes sure the children has a lot of fun too. As a member of the reputed Magic Circle, he can perform tricks that stun children and adults alike. So, apart from keeping the children occupied, you can also hire him for entertaining the adults too. Why not have a chat with Magic OZ today.